Today I want to talk about Bucket Lists. Before I started bloggin and being active on social media sites I actually had never heard these much. Basically a bucket list is a list of all the things you want to do and places you want to visit in your life or before you die. So since I started blogging and being active on social media I also started seeing bucket lists. 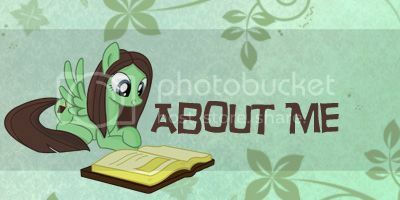 I have been seeing some blogs with bucket lists like At random, she has a really awesome bucket list right there on her blog. On Pinterest there are also a lot of people that have a bucket lists, like Karen and Anna. Some time ago I was talking with Julie from the blog Bookaroojuu about the new cover of Daughter of Smoke and Bone and I mentioned I really wanted to visit Prague after reading that book and she said I should add visiting Prague to my bucket list. Now I never thought of making a bucket list myself, because well I am not really the kind of person who is outgoing and wants to visit a lot of places, but I realized also that I have nowhere to keep track of these things I want to do. So today was a weird day, it was really busy with people visiting in the morning and then everyone was gone again, except for me and my boyfriend and it was really peacefull and quiet and I got some work done and then suddenly I came up with the idea of making a bucket list on Pinterest. Why? Because I realized that there are some places I want to visit and things I want to do and I might not have a huge list of things I want to do, but that doesn’t mean it can’t be handy to make a list of it. So I made a bucket list on Pinterest, because Pinterest is awesome. So you can now visit my Bucket List pinterest board. It’s still a bit empty because seriously I actually have no idea what to add to my bucket listm beside the things that are already on there now, but I am sure that I will come up with more things to add to that list soon. Okay so what’s on my bucket list? – Visit Prague. 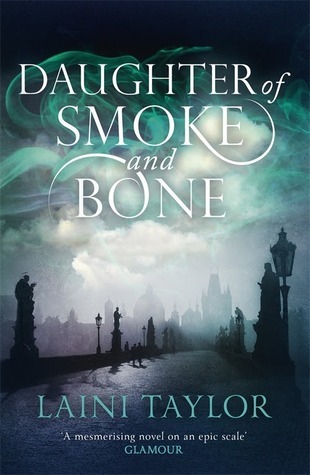 After reading Daughter of Smoke and Bone by Laini taylor I really wanted to visit Prague. It’s relatively close by and it sounds like a great city, so why not. – Visit Dublin. This one is also because of a book. After reading the Fever series I decided I had to go and visit Dublin once. Getting to Dublin is a bit more difficult that getting to Prague, because I am terrified of planes and I hate boats. But it is possible to get to the UK by train, so that means I only have to be on a boat for that short distance between the UK and Ireland, I think I can handle that. – Visit the US. Really it’s not even fair to add this one to my bucket list, because to be honest I believe it will be on there forever. As mentioned above I am terrified of both planes and boats, so yeah either I come over those fears and get on a plane already or I will likely never visit the US. I really want to visit the US, because lots of books I’ve read take place there and I even followed a history class about the history of the US and I really would like to visit that once. – Visit Norway. I really would like to visit Norway, because from the pictures I’ve seen of Norway it looks like a beautifull country. I already have visited Sweden once and I loved it there. – Visit Scotland again. I once went on vacation to Scotland and I fell in love with the country. It is such a beautifull country and I love the whole feel of the country. So I really want to go there again. – See the northern lights. I would love to see the Northern lights, ofcourse I have seen picture,s but I think seeing it for real would be even more amazing. 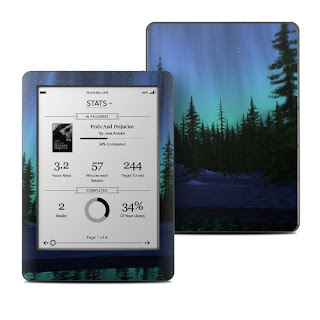 The skin for my Kobo e-reader has a picture of the northern lights on it. (this picture I grabbed from amazon, that’s not my Kobo, but it is the sticker I have for my Kobo). – Go to an author signing. I live in the Netherlands and most books I read are written by English or american authors, which means I’ve never been to an author signing before. I probably could attend a signing of some dutch author here in the netherlands, but I want to go to an author signing of an author who’s book I enjoyed. – Buy an house in Germany. I currently live in the Netherlands, but I have this dream to move to Germany, because I love the country and it’s so much more beautifull than the Netherlands. There is so much more nature there and I love nature. It would be perfect if my future house would be surrounded by nature or at least close to a forest or something. So let’s talk about bucket lists! Do you have a bucket list? If you do please leave a link to your bucket list. Or leave a comment with some things that are on your bucket list. What are things you think should be on a bucket list? Do you think there are things that everyone has or should have on their bucket list? Are there things on your bucket list you think you wil never ever do (like visiting the US on mine list), even though it’s on your bucket list? Oh a bucket list is a great idea. I don’t really have a physical one anymore but there are a ton of places I’d love to visit and things I’d love to try. All of yours sound great! I’m in the US so that one’s not hard for me but I’d love to come back over to your side of the world one day 🙂 I hope you get to visit all of yours (and conquer the fear of planes! too). There’s a huge author signing in I think Germany every year. A bunch of authors I read went to it and it sounded amazing! Have you heard of it? Just happened in late May early June I think. A signing in Germany, I never heard about that! I will have to check it out! Maybe next year! I guess people in Europe want to visit the US and those in the US want to visit europa. And yeah I really should get over my fear of planes, I actually added a new item to my bucket list last night to get over my fears and start living, because I am afraid of too many things. It’s called the Love Letter Convention. I really don’t know too much about it other than it was in Germany this year in June I believe. One of the bloggers I follow went to it and a handful of American authors I read attended 🙂 Hope it’s close to you next year! I think that’s an awesome new addition to the list. I need to do the same. Not getting over the fear part but getting out more. I’ve turned into quite the homebody the last few years and tend to stick close to home and not go out and actually go to events, outings, etc like I used to.